When it starts to upset me so much, that I want to take my IPAD and throw it across the room, it is time to get of the app. I have tried for two days to change my password that I have had all this time, but no it still won’t recognize my password every time I enter it, it’s time to delete the app. You people can’t seem to get it together, so goodbye. Still showing error when I try to sign in. Please fix. Please fix the REGISTRATION page! It was working fine. I won two $5 Vons Grocery cards. Last week and now, I cannot not login. I tried iPhone 6, MacBook Pro, and Samsung Galaxy tablet. Can’t get a reply from customer service support. Galaxy tablet says it can’t get a secure connection for https//. Still can’t login. Sad. My Just 4You account is working ok. It uses the same login info. I have previously already redeemed my tokens for the $25 grocery store gift card and that worked okay. HOWEVER, now it will no longer let me redeem the next prizes in the list. The boxes are a darker yellow as if to say that I do not have enough tokens. I have 263 tokens right now, and I should be able to redeem them for a $20 grocery gift card. Also, when I click on the 'spend tokens' page it says "skip to navigation". I've clicked on that and nothing has happened. Are we only allowed to redeem one prize from each category? Is there anything I can do to fix this? After installing the app, I realized I had forgotten my password, I’ve tried to reset my password at least a dozen times and every time I get an error message. I’ve emailed customer support and have never gotten a response. Do not waste your time with this app. It stays stuck on the home page. How are you supposed to use the app if it won’t let you take pictures of the QR codes! It wants you to register but there is a Field that will not work so you can’t even use it. Absolutely worthless!! My app updated and is now not working. I can’t get any further than choose your store. Have tried on my Windows computer and in my IPhone. Am NOT able to get signed on to check codes. Game just stops at the “confirm eligibility”. Huh? Please F I X this. Plus... I can’t find a support contact. So I can't get past the "continue" screen to scan a ticket. What's the point of the app if I can't do that? The required pull down menu *choose a state has no options to select. This renders the app useless. 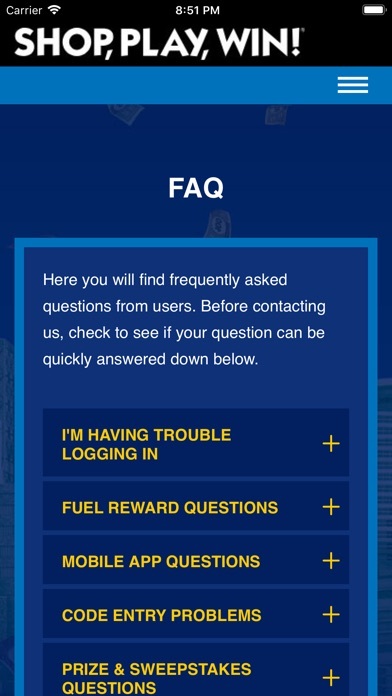 Terrible app, absolutely horribly made and can’t even log into account anymore. Surprised something this big could be screwed up so bad in an app. I’ve had so much trouble trying to log in my Tom Thumb account. Reset password, cleared cache & cookies, updated PC software, used different browsers, tired apps on phone....even contacted Tom Thumb to no avail!! I was able to successfully log into Market Street despite them advising they aren’t participating this year. This has turned into a bad experience and no one knows how to resolve it lol. Tom Thumb’s Rep seemed annoyed that her trouble shooting steps weren’t working. I tried them all prior to calling. Let alone you can’t reach “Shop Play Win” bc it’s not their issue either! It’s very disappointing. My real password didn’t work. I tried resetting and that didn’t work. After a couple of more tries I gave up and deleted the app. I’m guessing the tickets are valid but the scanner is not functioning as it should. Figures apps tend not to do what the developers claim. 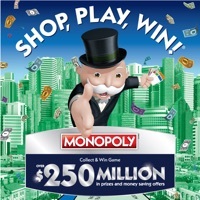 If you’re downloading this app to play the shop play win monopoly it won’t work. Don’t waste your time like I did. I already have the Safeway app on my iPhone. But this thing doesn't know about it, and it doesn't automatically connect me to it, it requires me to somehow remember a user ID and password that if I ever had, I haven't used in years. And it doesn't seem to allow me to in any way process this pile of tickets or have any functionality. What a complete waste of time and energy. I’ve tried multiple email addresses (including my work) and it errors on every one. Waste of time! Just wanted an easier way to keep track but cant even create login, different phone, name, email trued everything just keep saying “we’re having a temporary error” FIX IT glad to see its not just me!! Cannot select local store during sign-up. Needs an update! Hopefully they can fix the situation where I can’t log in. That’s awesome. Scanned 3 of 13 - I’m gone! Freezes all the time. 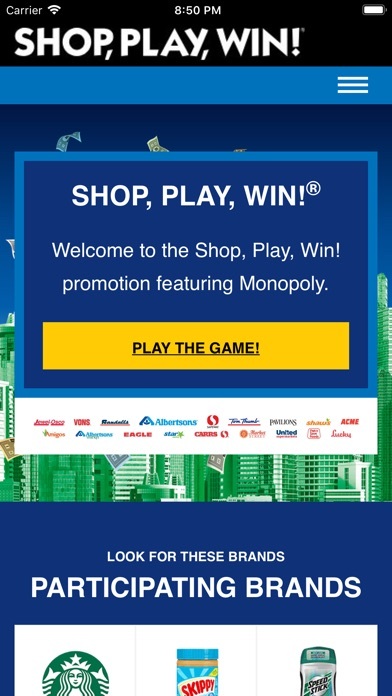 How can I play the game & enter the sweeps when the app doesn’t work properly? Last year it worked great....now I can’t even log in with my password. When I try resetting it....it won’t let me. Frustrating! Scanner should save you time, instead it takes twice as long than manual entry trying to get it to work and then I just end up manually entering the codes anyway. Getting from one field to the next was too taxing for it. In the end it just froze. Instant delete. Just started ShopPlayWin with 4 tickets and won a package of organic coffee which would normally cost me $10-$12 (depending on the brand) in a grocery store. Plus I won a free token but I had to go online to find out how to use the token because I could not find the information on the big game board. Unfortunately I had already tossed the scannable barcodes on the ticket apparently necessary for the tokens since I was using the board and had not yet downloaded a scan barcode app. I figure the whole process is a numbers game and the game is entertaining once you start. Besides, who does not like winning a free prize? I am looking forward to seeing what else I might win. I say keep a positive attitude and go for it. If it becomes annoying or too tedious you can alway stop. I was using the app consistently. Then, one day the app stopped working. It kept taking me to the site with all the affiliated stores. In addition, I was navigated to the Just U site. To continue playing I have to create a new app and I am not sure if the tickets I registered are lost. I will play, but I will use the the traditional board. After the most recent update I can’t login or reset my password. I’m going to lose all the tokens I’ve collected. I tried to use the contact feature and it won’t work. Please fix this!! I read many of the negative reviews but thought I would try it out for myself. Yep, the reviews are correct: it’s now a broken app! It won’t open...just locks up! :( Thought I was going to save time scanning vice inputting via the www. Guess I’m going to the www. Last year I downloaded this and my son and I scanned all the ones we collected and also my family collected for us. Sometime around the end of the game I decided to look at the tickets after I scanned it cos it showed doubles for a couple and I knew I hadn’t had that one yet at all..turns out it wasn’t even showing up as the same numbers/letters as the little papers had on them!!!! I had no idea how many times this happened but, I gave up and rechecked the ones I saved because I had it and on the app but, there were some that the app said I had and I didn’t!! Really hoping this time it does it right and I will be double checking right away. I continue to delete and re download and I keep getting the same results. It asks me to pick my store and nothing happens after that?? SO FRUSTRATING!! The “local store” drop down menu is broken on the registration page. Cannot register , and I’ve tried this on the app and website. Went to the FAQ to contact support - says I can’t contact support because I need to register first. Help! Played last year with the app and it was great! I was looking forward to this year. App is broken and so is their customer service. No response to email, powered phone off after deleting the app and reloaded after restarting. Did not help. Last year playing for me. Too bad. This app never works. 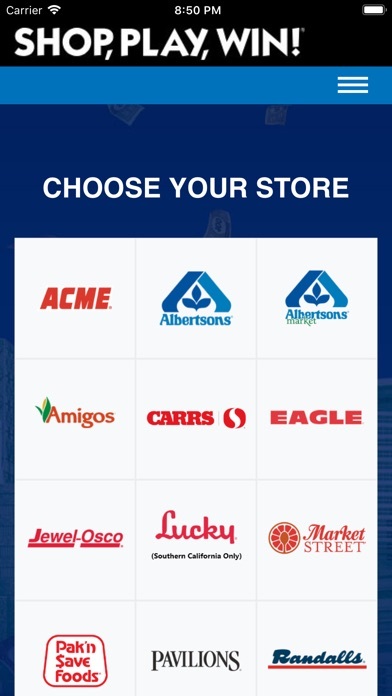 I can’t even get past the “choose your store” page. Let alone login. So irritating!